CONSTRUCTION through Pioneer Park is full steam ahead following a CBD Masterplan Committee meeting this week between Coffs Harbour City Council, Gowings representatives and committee members. The road through the park is part of a larger CBD masterplan to make way for an extension of Coffs Central shopping centre by diverting traffic away from the work site in the short term. 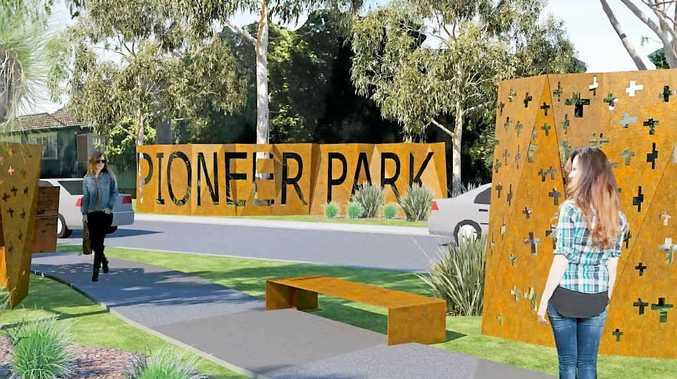 CBD Masterplan Committee chairman Rod McKelvey confirmed the construction of the road through Pioneer Park would start next month. "The key thing is that we are aiming to start at this side of Christmas," Mr McKelvey said. "There will be a break over the Christmas period and then once the major holiday period is over, that's when the works will impact on the Harbour Dr end of it," he said. Mr McKelvey said extensive consultations will be arranged to plan the landscaping of the park. 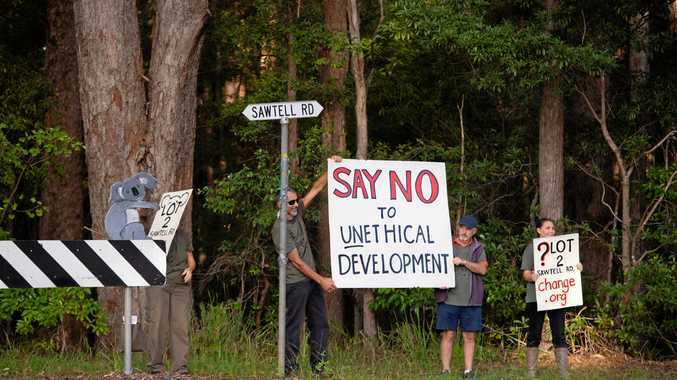 "We are aware of the people's concern and we are going to minimise the damage to any habitat that's through there by way of the design of the road and the positioning of the road; there's considerable landscaping that will be put in eventually," he said. The Harbour Dr/Gordon St roundabout will be demolished to install traffic lights and lower the roadway as well as the footpath raised outside the eastern end of Coffs Central. Mr McKelvey said holiday trade would not be affected in the CBD with roadworks at the Harbour Dr and Gordon St intersection starting in February next year. "There'll be no road closures over the Christmas trading period, we'll be setting up a construction camp on the Vernon St end of Duke St," he said. Mr McKelvey said the camp would mean the loss of up to five city car parks and the erection of road barriers.